Good climate news: Global emissions dropped in 2015. 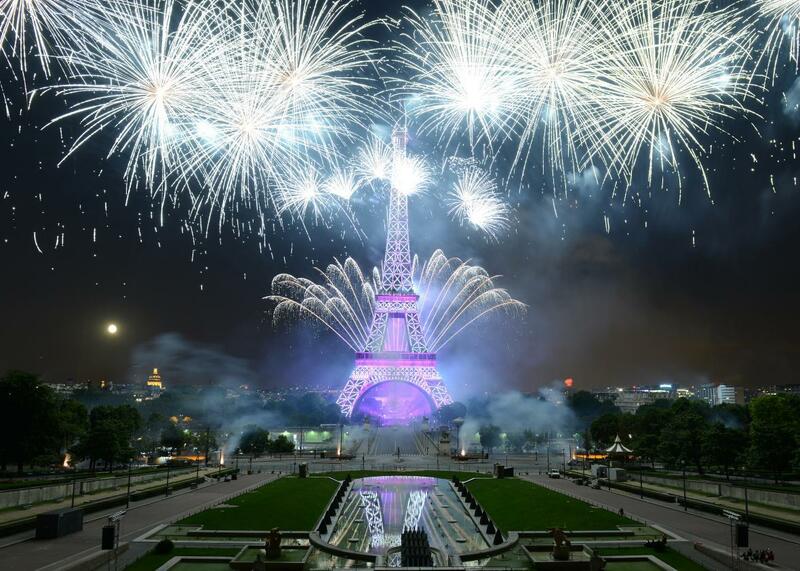 Time to pop open a bottle of carbon-neutral champagne, Earthlings! If you’re a fan of living on a planet with a stable climate, this is the ultimate good news: The period of rapidly increasing greenhouse gas emissions may be over. New data published Monday by a global team of researchers show that sharp declines in Chinese coal burning and a continued surge of renewable energy worldwide may have contributed to the first-ever global decline in emissions during a year when the overall global economy grew. Though the Chinese data are especially uncertain, it’s clear that an important energy transition is currently underway there. In an attempt to remedy its horrific air pollution problems of recent years, a meaningful Chinese shift away from coal seems to also be having global benefit. It’s not possible to overstate the significance of a possible peak in global greenhouse gas emissions. As recently as last year, the consensus of climate science was that humanity was tracking on (or even above) the worst-case scenarios for global emissions, with annual greenhouse gas output not likely to peak for decades at least. Now, the evidence is mounting that, at least temporarily, humanity has shifted gears to a course that meaningfully deviates from business as usual. The best scenario from here on out is that 2014 was the year—in all of human history—that humans emitted the most greenhouse gases and that annual emissions will now start to decline, with the sharpest decreases from China, the United States, and Europe. In this ideal scenario, the declining emissions from these and other currently high-emitting countries will outpace growing emissions from India, African nations, and other emerging economies. To be abundantly clear, just because growth in annual global emissions seems to be slowing doesn’t mean we’re out of the woods yet when it comes to climate change. We’re still burning far more fossil fuels every year than the planet’s forests and oceans are able to absorb. Even if emissions were to stabilize at current levels for a decade or two, it would result in steadily increasing concentrations of carbon dioxide that would push well above the current 400 parts per million—the highest level in at least 800,000 years. That would still result in rising global temperatures and acceleration in the impacts of climate change for decades, since emissions have a lag time of about 40 years. To underscore that point, in separate new reports also published Monday, scientists emphasized that the world is running out of time to hit temperature targets that global leaders are currently being debated at the climate talks in Paris. In an odd development, the biggest emitters, led by the U.S. and China, have in recent days embraced an even stricter target of 1.5 degrees Celsius above pre-industrial levels, though such a strong goal is little more than a miracle. 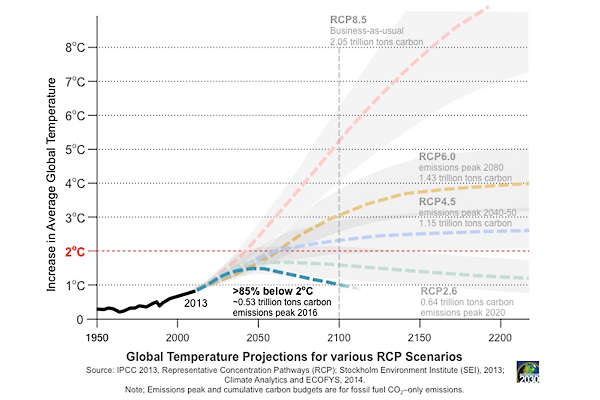 What the debate over 1.5°C vs. 2°C reveals is that targets are perilously close to becoming completely symbolic repositories for feels. One of the new reports found that such an ambitious warming goal would require a global energy transition with such speed and scale as has never before been achieved, as well as an emphasis on “negative emissions” that have not been tested at the necessary magnitude that would be required. The other new report argues that the debate over temperature targets is a waste of time, because any temperature target that would be “safe” requires the same thing: stopping emissions as quickly as possible. If we’re lucky, that stopping may have already started.